These days people have such busy lives it not always possible for them to be able to cook in their homes. This has created a market for the supply of dinner party and other celebration foods ready to eat. 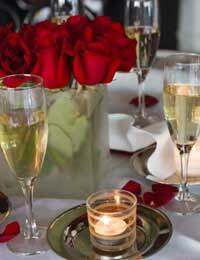 So, if you feel you have the required skills for a catering business the ideal market would be the delivery of ready to eat dinner parties direct to the host and hostess. When planning to supply dinner party catering as a business you need to identify your market and let them know of your existence. Look for areas where young professionals would be setting up home and target the streets with a tastefully designed leaflet – better still a letter style leaflet complete with sample menu in an envelope. You are offering a high quality catering service so make sure that your publicity campaign is of a high standard as well. Look at advertising in local newspapers and local radio as well. Also enquire about advertising at railway stations as this is where your young professionals are to be found early each morning on the first leg of their commute. Ideally for you the meal should be cooked on your premises and delivered to the client to be kept hot in their own kitchen until it is served. This way you can cater for more than one event and plan your delivery route to encompass all clients in one trip. However some clients will want you to cook on site and possibly serve the food as well so remember to include these extra costs when invoicing. An extra service you can offer when venturing into outside catering is to supply waiting staff that will prepare the dining room, serve the food and clear up afterwards. Remember that you are putting strangers into your clients homes so either employ family and friends to begin with or ask for references from your staff and follow them up with security checks. Your clients may not wish it to be known that they hired a catering company to supply the food for their dinner party so it is up to you to be as discreet as possible. By all means leave a few business cards in the kitchen for the client to hand out but do not be too obvious when delivering the food. Be flexible with your menus to cater not only for your clients wishes but to cover specialist diets and food allergies. It is because of allergies and diets that people will be interested in your catering service in their home - after all, they could just visit a restaurant. Keep abreast of food fashions by reading the glossy magazines. Be assured that if a celebrity is seen eating a certain food or a top chef advocates a certain vegetable or dish everyone will want to be seen serving it in their own home within days. Boost your catering company’s appeal by offering other services as well. How about a cleaning service so that the client not only comes home to a well cooked meal but a clean house as well? Flowers are another bonus to the hard working client. Include a table arrangement in with the menu so that the dinner party is complete. Crockery, table linen, crystal glassware and china hire is another extra to boost your turnover along with hand-made chocolates, desserts and celebration cakes. Create a network of other catering companies whose work complements your own so that you all benefit from each others outside catering services.